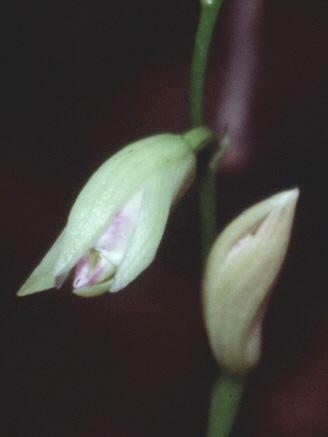 Basiphyllaea corallicola, commonly known as Carter's Orchid, is distributed in the Bahamas, West Indies as well as Florida. 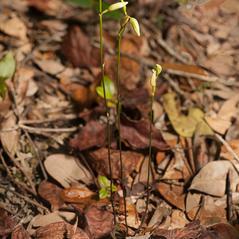 This diminutive species produces 1-2 basal leaves which are present at the time of flowering. 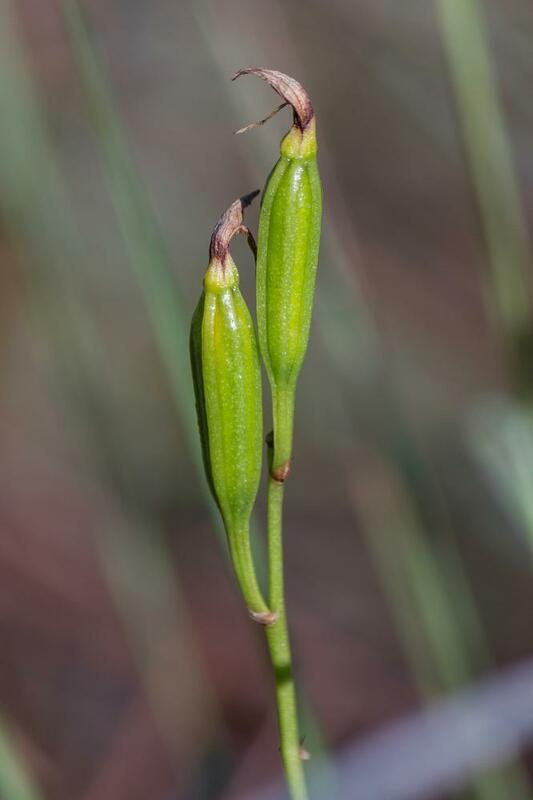 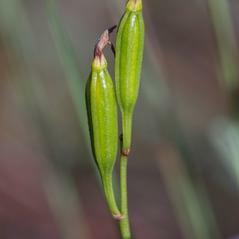 It bears an inflorescence of 3 to 10 small yellow-green flowers that may not open completely. 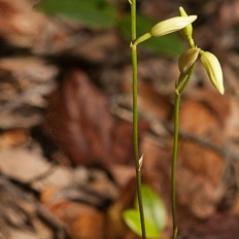 The labellum is lobed and primarily white with a suffusion of crimson. 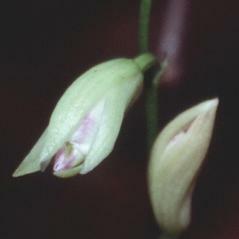 It blooms in September through November, however, blooms do not occur with regularity each year. 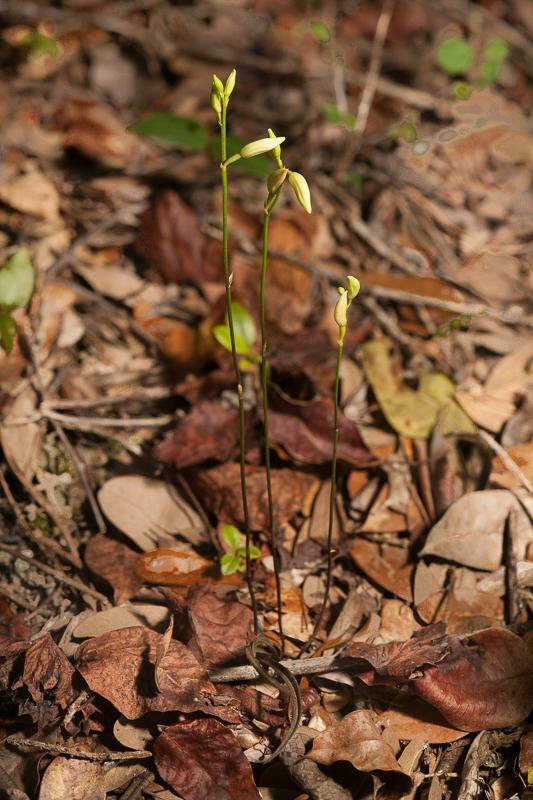 This orchid has been found in Florida's coral-rock pinelands located in Monroe and Miami-Dade counties. 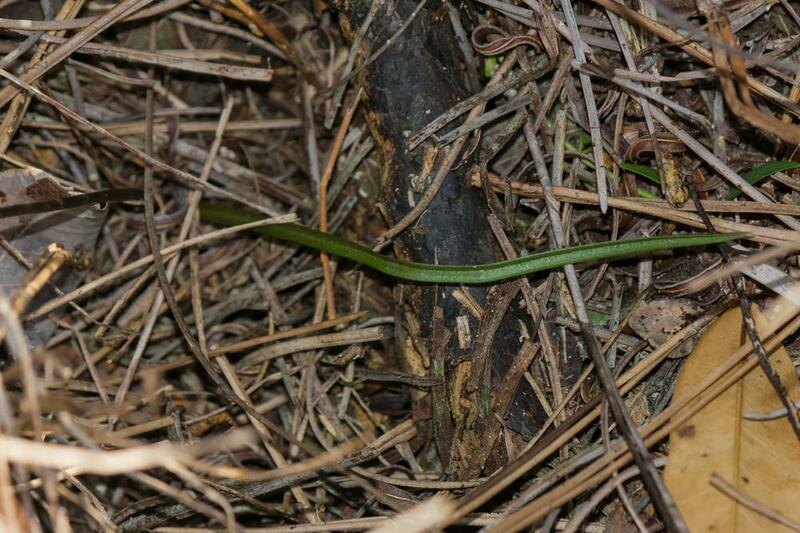 Only a few sightings have been documented since its discovery in 1903. 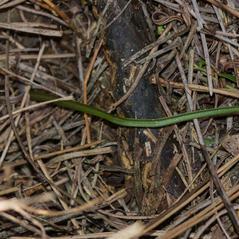 Basiphyllaea corallicola is considered globally imperiled and endangered in Florida. 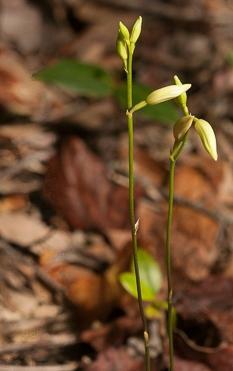 This orchid has flower buds that barely open, often forming fruit without the flowers ever expanding. Unlike most orchids, these flowers lack a rostellum which would create a barrier between the stigmatic surface and pollen and prevent self-pollination. 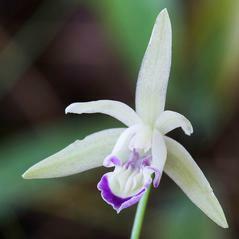 High fruit set observed in the field indicates this orchid is self-pollinating in at least part of its range and does not require an insect to transfer pollen.